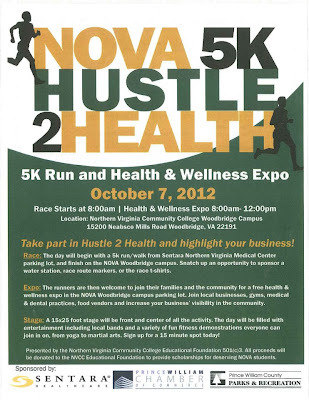 The Northern Virginia Community College’s Woodbridge Campus will be the site for the October 7, 2012 “5K Hustle 2 Health” Run/walk and Wellness Expo. This family-friendly event begins at 8am and runs until noon. For more details, visit http://www.racepacket.com/calendar/frace.php?fid=103 where you can sign up before race day and save $10. 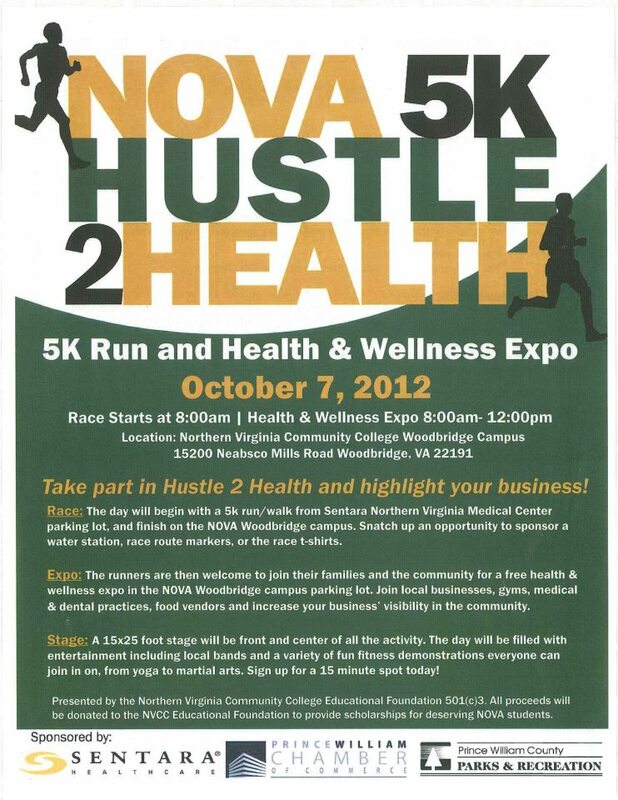 Runners are $25 early registration and children under age 11 are $10.